With all the TV shows about cooking, all the books out there, and all the tasty cuisines in the world, there’s no wonder why so many people are hooked to cooking. The great thing about this hobby is the fact that anybody around them can enjoy so if you actually buy somebody who has this hobby a gift, the whole family can enjoy it. Buying gifts that are related to cooking can be easy as there is a large variety of utensils and cooking books out there to make sure that anybody is satisfied, even if they have the most unusual of tastes. Let’s see the best cooking gifts ideas that would definitely make an amateur chef happy. 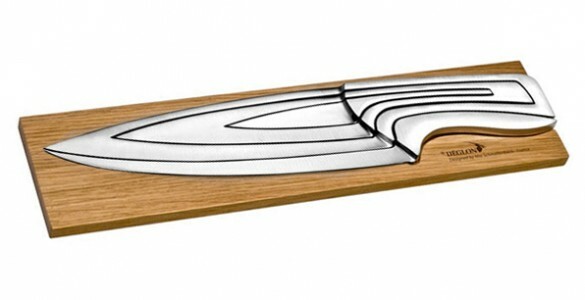 A set of knives – knifes are probably some of the most important tools in a kitchen and having high quality knifes can make the difference between a good dish and a bad dish. However, you just can’t buy your friend just any types of knifes, you have to make sure that they are high quality knifes, especially designed for chefs. Everybody knows that Japanese steel is the best when it comes to knifes so make sure that you buy them something similar. Also, be prepared to pay a little extra, as they don’t come cheap. A cooking class subscription – if you want your friend to be really impressed, you can enroll them in a cooking class. They would probably find this to be the coolest gift ever, so there’s no way you can fail with this. However, make sure that the cooking class is appropriate for their skill level and the type of cuisine they want to approach more. If there are no cooking classes available in your area, some DVDs can work as well as that. Ingredients that are hard to find – a chef always needs some type of ingredients that can be impossible to find in a certain area. Make sure that you find out what they need and easily order them online to make a big surprise for them. Who knows, maybe after they receive them they will cook something special for you with the gift you gave them.